Getting a good night’s sleep is vital for optimal health. Unfortunately, many people struggle with sleeplessness, especially in stressful situations, which can have a plethora of negative ramifications on the body, including cognitive impairment, muscle fatigue, and elevated levels of anxiety. 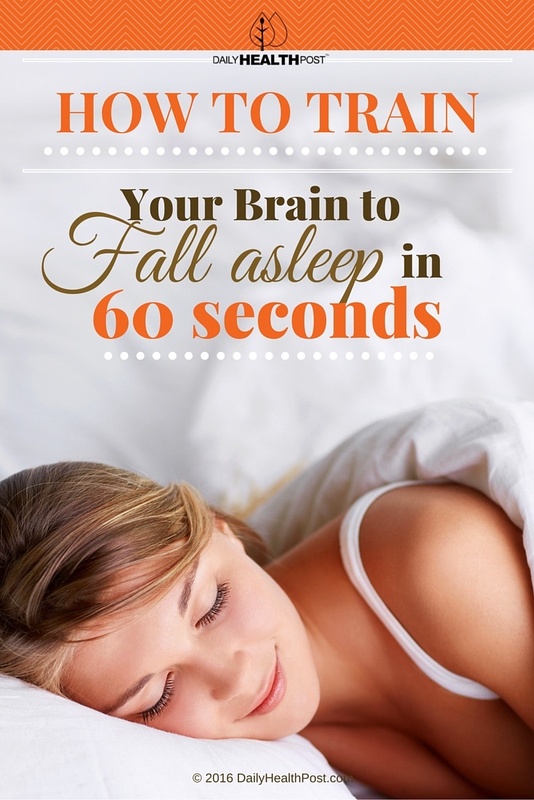 Fortunately, there’s one technique that is sure to work on even the most sleepless of insomniacs. It’s called the “4-7-8” breathing trick. 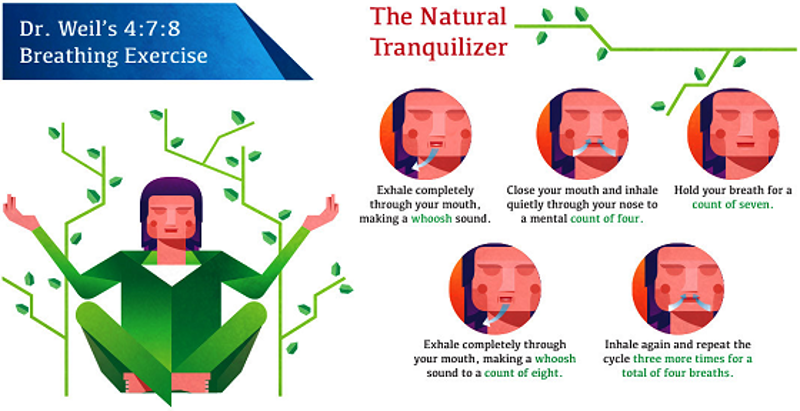 Inhale through your nose for a count of four seconds, hold your breath for a count of seven seconds, and exhale through your mouth for a count of eight seconds. Repeat this cycle four times as needed until you fall asleep. The key to successfully performing the exercise is to NOT speed up your breathing, as you’ll want to do, but to maintain the 4-7-8 breathing pattern for as long as possible. This slows down your heart rate and will have you dozing off in seconds. Studies show that stress and anxiety have a marked effect on how our bodies function – people who are stressed or anxious may be chronically under-breathing, taking quick, shallow breaths as opposed to the slow, deep breaths needed to relax. 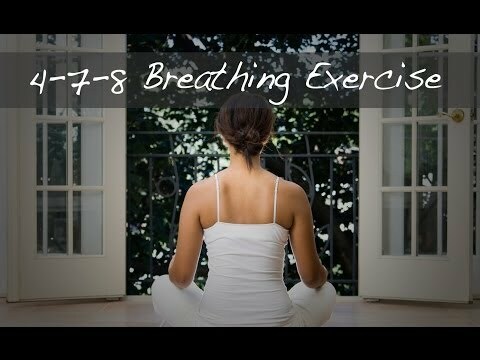 By inhaling for a count of four, you are forcing yourself to take in more oxygen; by holding your breath for a count of seven, you are allowing the oxygen to spread throughout your bloodstream; and finally, by exhaling for eight seconds, you are expelling carbon dioxide steadily from your lungs. 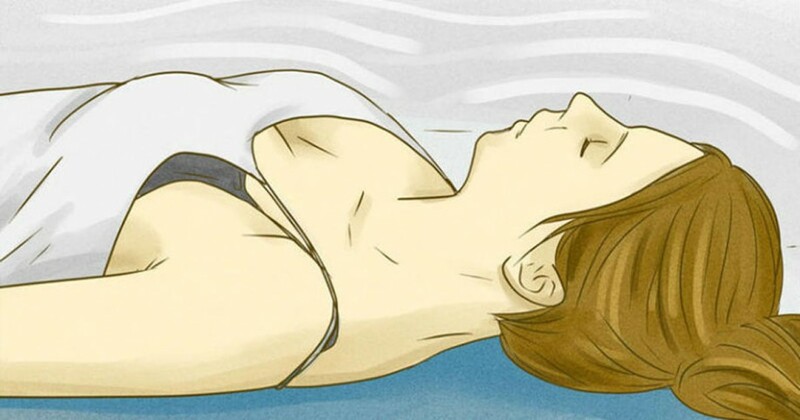 This technique slows your heart rate while increasing the levels of oxygen in your blood stream, allowing your body to relax more fully. It’s not just anxious bridesmaids who are spreading this technique through word of mouth – in the U.S., the Harvard-educated Dr. Andrew Weil is one of the foremost proponents of the 4-7-8 breathing technique. Dr. Weil doesn’t promise that the technique will work for everyone, but it is a free, all-natural, and completely healthy way to put yourself to sleep, so next time you’re having a sleepless night, try to forgo the over-the-counter pills for some simple breathing exercises and see the difference the 4-7-8 breathing method makes.